"Schoolmaster by choice and a politician by accident"
Julius Kambarage Nyerere was born on April 13, 1922 in Butiama, on the eastern shore of lake Victoria in north west Tanganyika. His father was the chief of the small Zanaki tribe. He was 12 before he started school (he had to walk 26 miles to Musoma to do so). Later, he transferred for his secondary education to the Tabora Government Secondary School. His intelligence was quickly recognized by the Roman Catholic fathers who taught him. He went on, with their help, to train as a teacher at Makerere University in Kampala (Uganda). On gaining his Certificate, he taught for three years and then went on a government scholarship to study history and political economy for his Master of Arts at the University of Edinburgh (he was the first Tanzanian to study at a British university and only the second to gain a university degree outside Africa. In Edinburgh, partly through his encounter with Fabian thinking, Nyerere began to develop his particular vision of connecting socialism with African communal living. On his return to Tanganyika, Julius Nyerere was forced by the colonial authorities to make a choice between his political activities and his teaching. He was reported as saying that he was a schoolmaster by choice and a politician by accident. Working to bring a number of different nationalist factions into one grouping he achieved this in 1954 with the formation of TANU (the Tanganyika African National Union). He became President of the Union (a post he held until 1977), entered the Legislative Council in 1958 and became chief minister in 1960. A year later Tanganyika was granted internal self-government and Nyerere became premier. Full independence came in December 1961 and he was elected President in 1962. The focus, given the nature of Tanzanian society, was on rural development. People were encouraged (sometimes forced) to live and work on a co-operative basis in organised villages or ujamaa (meaning ‘familyhood’ in Kishwahili). The idea was to extend traditional values and responsibilities around kinship to Tanzania as a whole. Within the Declaration there was a commitment to raising basic living standards (and an opposition to conspicuous consumption and large private wealth). The socialism he believed in was ‘people-centred’. Humanness in its fullest sense rather than wealth creation must come first. Societies become better places through the development of people rather than the gearing up of production. This was a matter that Nyerere took to be important both in political and private terms. Unlike many other politicians, he did not amass a large fortune through exploiting his position. The policy met with significant political resistance (especially when people were forced into rural communes) and little economic success. Nearly 10 million peasants were moved and many were effectively forced to give up their land. The idea of collective farming was less than attractive to many peasants. A large number found themselves worse off. Productivity went down. However, the focus on human development and self-reliance did bring some success in other areas notably in health, education and in political identity. A committed pan-Africanist, Nyerere provided a home for a number of African liberation movements including the African National Congress (ANC) and the Pan African Congress (PAC) of South Africa, Frelimo when seeking to overthrow Portuguese rule in Mozambique, Zanla (and Robert Mugabe) in their struggle to unseat the white regime in Southern Rhodesia (now Zimbabwe). He also opposed the brutal regime of Idi Amin in Uganda. Following a border invasion by Amin in 1978, a 20,000-strong Tanzanian army along with rebel groups, invaded Uganda. It took the capital, Kampala, in 1979, restoring Uganda’s first President, Milton Obote, to power. The battle against Amin was expensive and placed a strain on government finances. There was considerable criticism within Tanzania that he had both overlooked domestic issues and had not paid proper attention to internal human rights abuses. Tanzania was a one party state — and while there was a strong democratic element in organization and a concern for consensus, this did not stop Nyerere using the Preventive Detention Act to imprison opponents. In part this may have been justified by the need to contain divisiveness, but there does appear to have been a disjuncture between his commitment to human rights on the world stage, and his actions at home. After the Presidency, Julius Nyerere remained the Chairman of Chama Cha Mapinduzi (CCM) until 1990 when Ali Hassan Mwinyi took over. 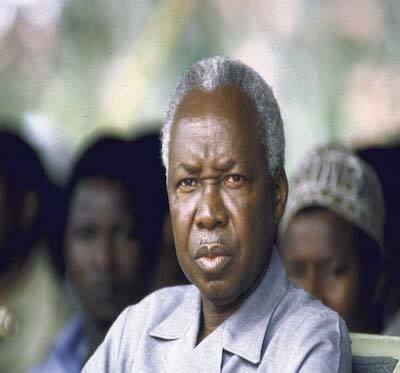 Nyerere remained vocal about the extent of corruption and corrupt officials during the Mwinyi administration. However, he raised no objections when the CCM abandoned its monopoly of power in 1992. He also served as Chairman of the independent International South Commission (1987–1990), and Chairman of the South Centre in the Geneva & Dar es Salaam Offices (1990–1999).